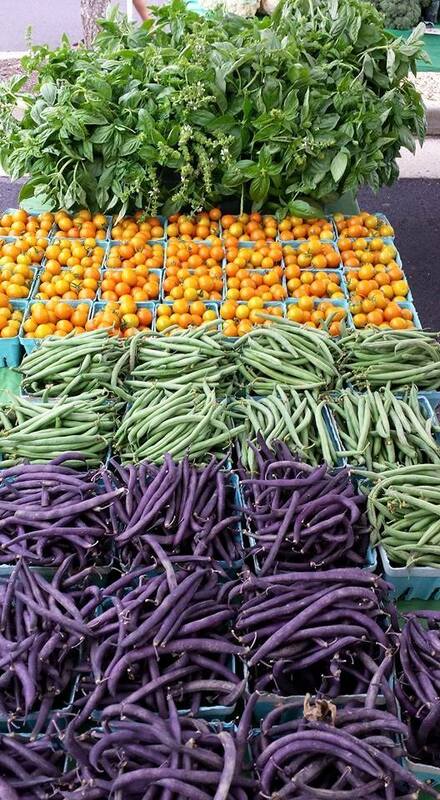 Reyes Farm will have fresh cut basil, green beans and purple beans, red Detroit beets and chioggia beets, zucchini, squash, carrots, spring onions and kale. Once you fill your bags with all of that incredible fresh produce, you may long for some new ideas for preparing it. We can help! Stop by the GrowRVA tent for cooking demonstrations. 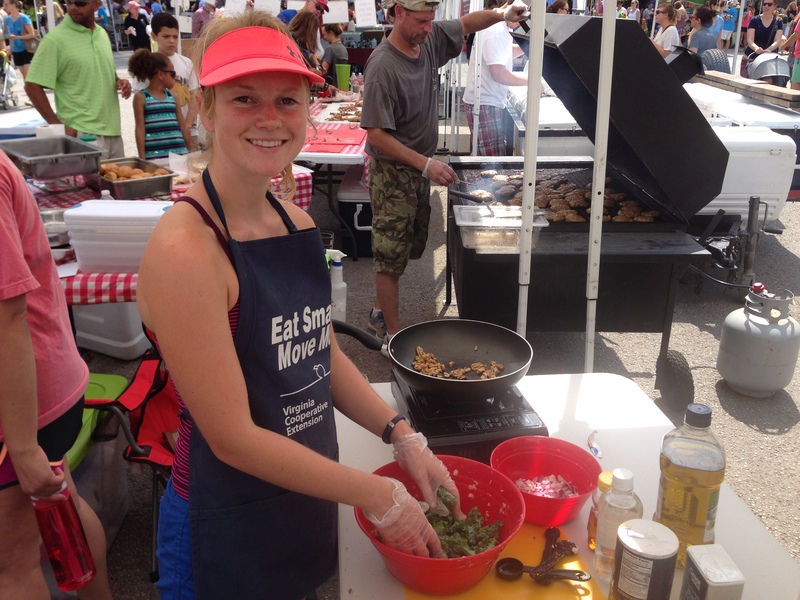 Every Saturday through August, Taylor Brownell of Virginia Cooperative Extension will prepare deliciously healthy recipes featuring in season items from the market. She’ll show you how to make it, give you the recipe and bonus … she’ll let you sample the dish too! If you need ideas before Saturday … check out this recipe roundup from RVANews. It includes many excellent and unexpected ideas from local food bloggers. If you have ever been to SOJ you know local food is not just about the produce. We love our goat and cow milk products from Bonnyclabber Cheese Co, Goats R Us and Old Church Creamery, seafood from Barham Seafood, and locally-raised meat from Babes in the Wood, Black Boar Farm, Goin Family Farm, Hog Have Farm, Pair-a-Dice Farm and Polyface Farm. 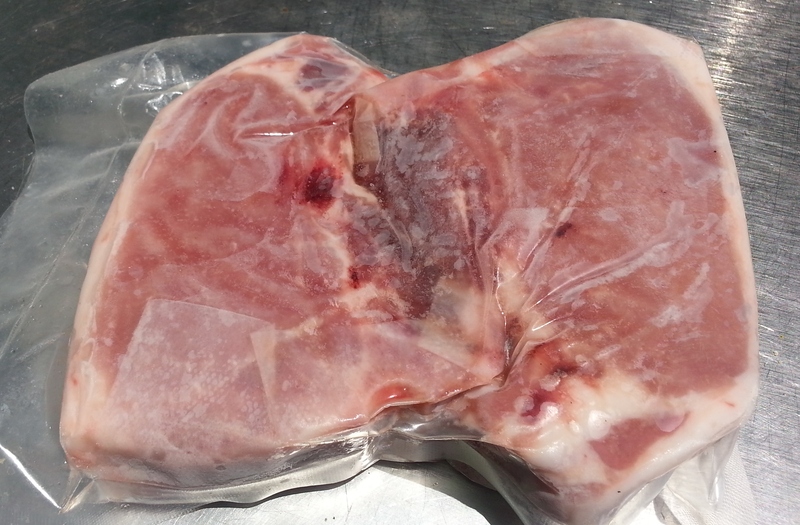 from their heritage Berkshire hogs! GrowRVA farmers markets always include talented local artists. 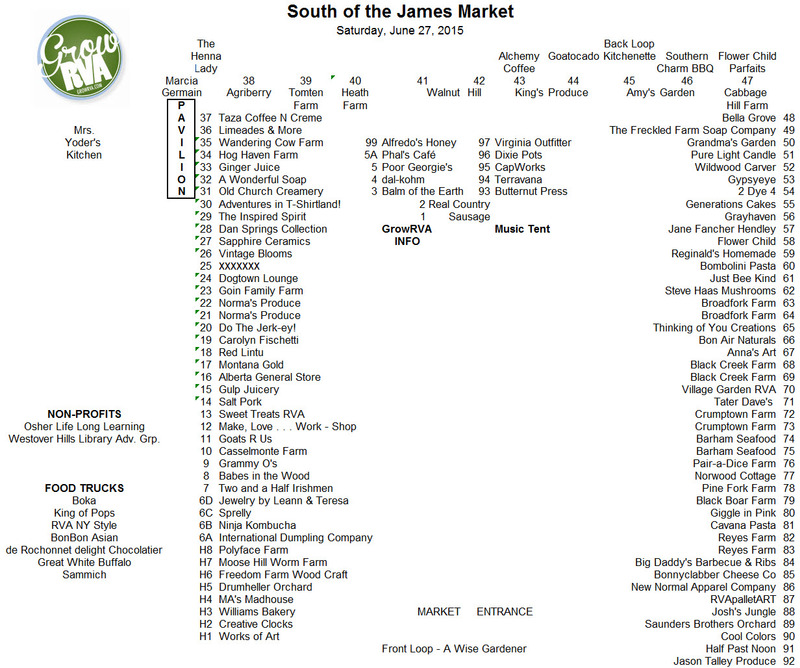 This Saturday’s South of the James Market is no exception. You’ll find jewelry, paintings, clothing, pottery, wood crafts, candles, soap and much more along with these special items below. The Freckled Farm Soap Company’s Summer Goat Milk Soap is back! It’s made with aloe and green tea, so it’s great for your summer skin. Sapphire Ceramics will feature beautiful berry bowls and wood fired vases this Saturday – perfect for SOJ produce! 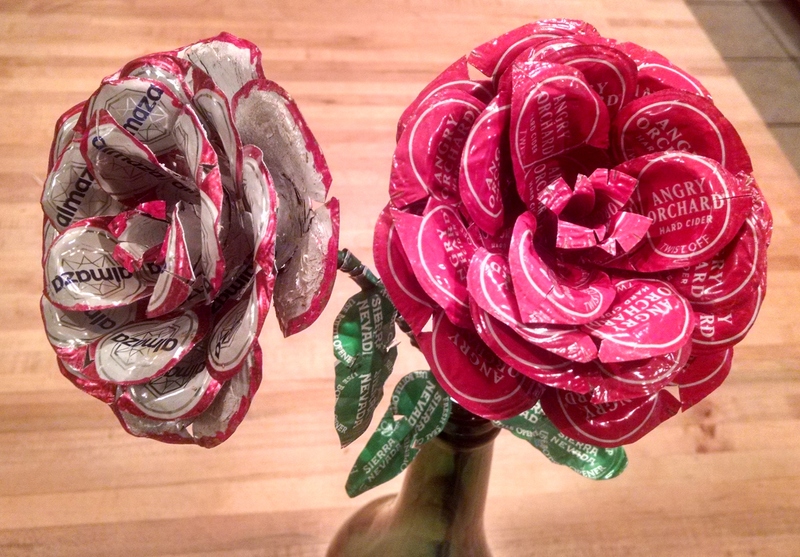 New rose designs from CapWorks! 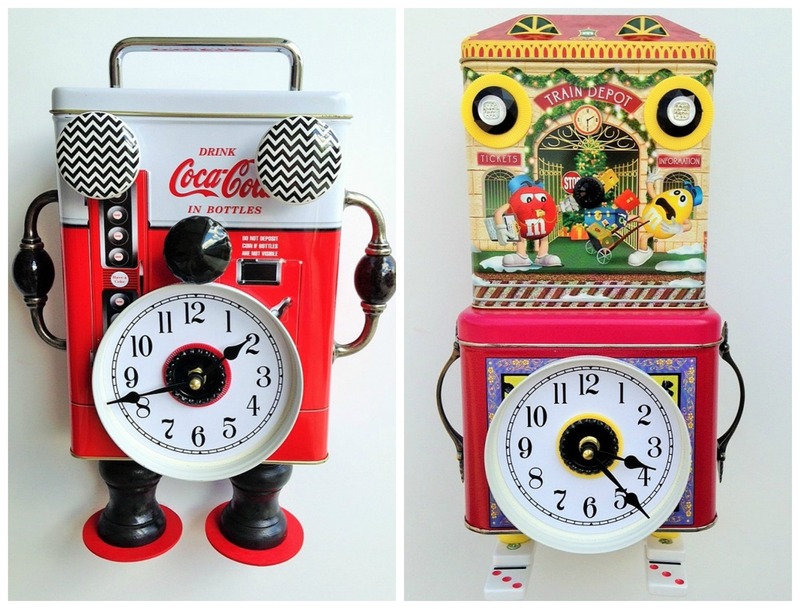 and M&M Robot Clocks featured this week! Current weather reports forecast a rainy morning on Saturday. Not to worry – SOJ is a rain or shine market. As long as the weather isn’t dangerous (without lightening), we will be in Forest Hill Park from 8am to noon Saturday. We hope you will join us! Saturday’s vendor map is below. Download a printable version here.